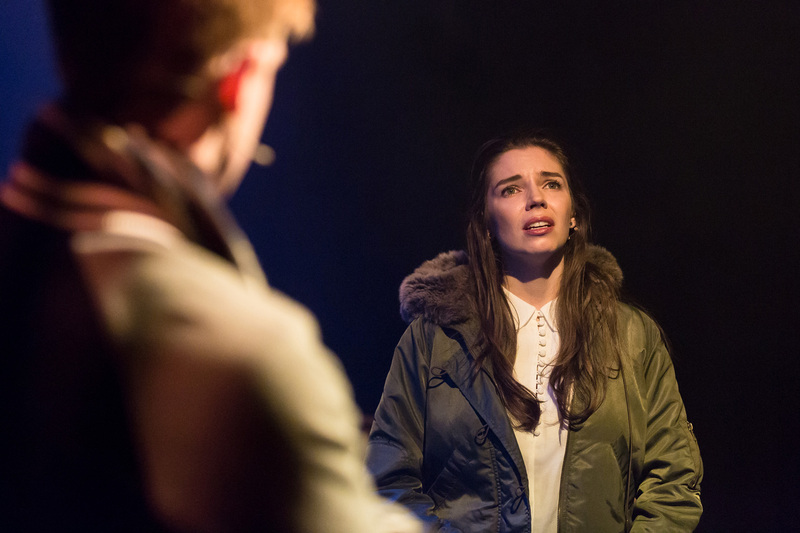 A cherished favourite of many a music theatre fan, Jason Robert Brown’s Songs for a New World shimmers with intensity in this powerfully sung new staging by Blue Saint Productions. 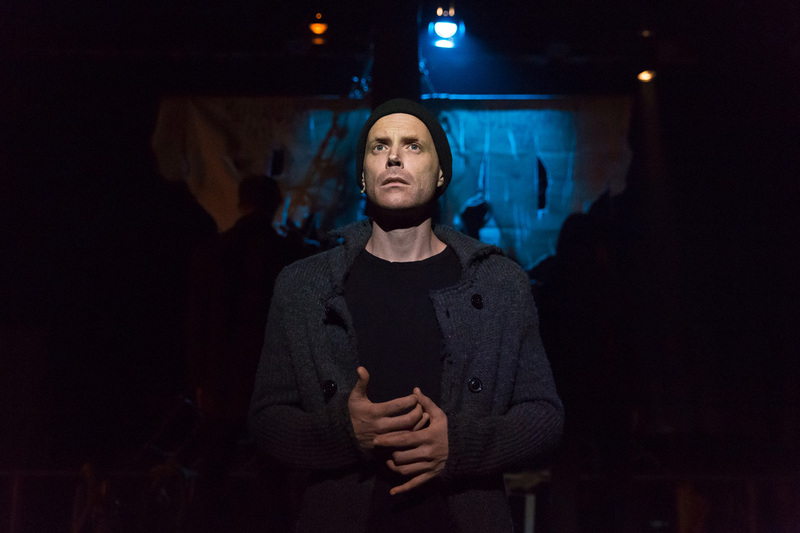 Given the rigorous vocal demands of Brown’s 1995 song cycle, casting is paramount, and Blue Saint Productions has really struck gold in this regard. In electrifying performances, each of the four singers provides powerhouse vocals, featuring incredible range a fluid continuum of styles. Besides being sensational singers, each artist brings an abundance of emotional intelligence, masterfully maximising the poignant impact of the story in each song. Director Luke Joslin has successfully guided the cast in developing sensitive, nuanced characters for each number. Wisely avoiding showy theatrics, the touching characters simply shine from the heart of each singer. Remaining on stage throughout the show, the performers simply face upstage, with gracious humility, whenever they are not featured. 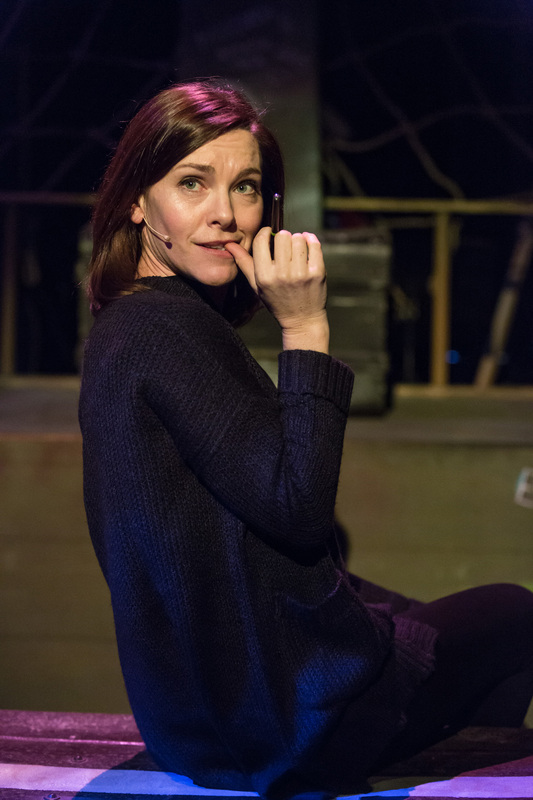 Turning sideways to sing backing vocals in dim or half light, there is a palpable sense of support and camaraderie that comes from the respect the tight cast has for each other. 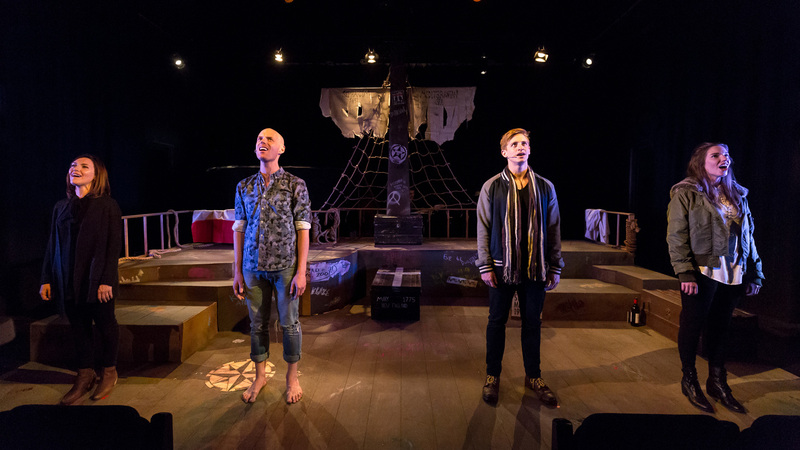 Taking inspiration from the concept of travelling to New World, which is specifically referenced in the second song, “On the Deck of a Spanish Sailing Ship, 1492,” designer Jacob Battista has created the appealing visuals of a ghostly ship’s deck. 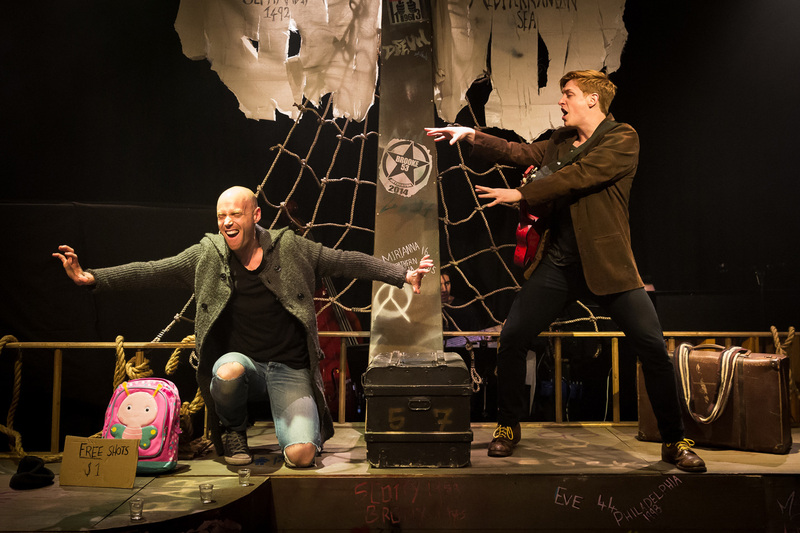 At first, the relic appears to have been subjected to graffiti, but as the show progresses, the scrawlings are seen to be the character names, places and years of each song. The setting provides an interesting array of levels, and props are cleverly contained in the ship’s battered crates. Opening on a rainy Melbourne winter’s night, Battista’s costumes connect the cast with the audience. Each singer wears comfortable, dark, cozily warm clothing, with a change during interval for variety. Musical director Geoffrey Castles must have developed some sort of psychic connection with the singers, seamlessly conducting from behind the stage whilst also playing piano. Two fellow musicians, on bass and drums, provide ample accompaniment. Kelvin Gedye’s sound design is so natural that the performance almost sounds unamplified. Peter Amesbury draws the eye gently to each singer with his subtle, atmospheric lighting design. The use of shading throughout allows for a strong impact when the stage is fully lit for all four singers in climactic moments. Amesbury highlights the character names, which are written on the set, with pinpoint accuracy. Linden Furnell, a relative newcomer to the Melbourne stage, has an appealing, ready charm and a lively stage presence. A strong storyteller, Furnell brings an understated but compelling energy to “The World was Dancing.” In charming duet “I’d Give It All for You,” Furnell and Wouters avoid potentially saccharine sweetness by singing with resolute, impassioned self-awareness. Lovers of quality music theatre will relish the opportunity to see Songs for a New World performed at such a high standard. 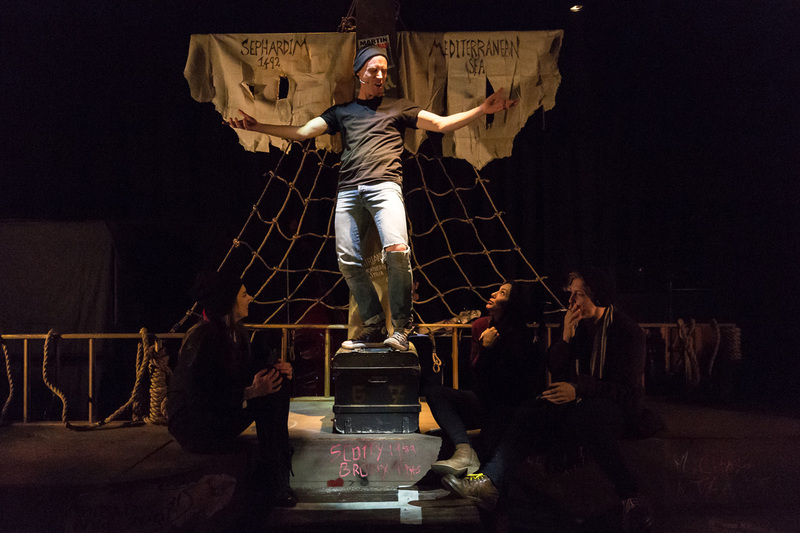 Songs for a New World plays at Chapel off Chapel, Melbourne until 12 June 2016.